PARIS, January 12. /TASS/. 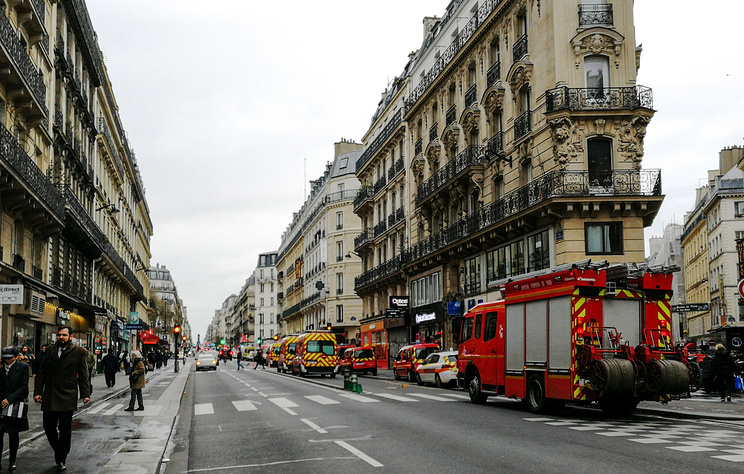 Two people were killed in a gas explosion that ripped through a bakery in Rue de Trevise in the French capital, the Paris Prosecutor’s Office said on Saturday. Both persons killed in the gas explosion are the fire-fighters, the Paris Prosecutor’s Office specified. French Interior Minister Christophe Castane said earlier on Saturday that four people had been killed in the gas explosion. According to the data of the Prosecutor’s Office, 37 people were lightly injured in the explosion. The police said 10 people were in a grave condition. Paris Prosecutor Remy Heitz has said the investigation that has been initiated "is considering all the possible versions of the incident." He confirmed, however, that "at the current moment, we believe that the explosion was caused by a gas leak." As an eye-witness earlier told BFM TV Channel, the firefighting vehicle arrived at the place where the bakery is located before the explosion. According to preliminary data, the firefighters were summoned by one of the residents due to a strong gas smell. The gas exploded in the bakery located in the ground floor of a residential building. The explosion wave smashed all the premises of the bakery that did not work at that time and made the walls collapse. A danger exists that the whole building may collapse. A powerful household gas explosion in the Urals city of Magnitogorsk in Russia on December 31 made a section of a ten-storey apartment block collapse, killing 39 people. A total of 18 people, including two children, were rescued during a search and rescue operation, which lasted four days.